Nino Brown looks down at the Old Man whose voice gets his attention. He’s seen him before. Earlier, he lectured Nino about his trifling, dangerous ways. Angered about Brown selling crack in the neighborhood, the Old Man pulled a gun on him before Scotty (Ice-T) tackled and disarmed him. This is the second time Nino stares down the barrel of this gun, but this time Scotty has no intention of stopping the vengeance of the Old Man. Nino’s henchmen can’t stop him either; they’re all in jail or dead. Mr. Brown is about to join the latter, his capped body falling to the ground below in a fitting end to the Warner Bros. Gangsta movie that is New Jack City. Like Nino, you’ve seen the Old Man before too. 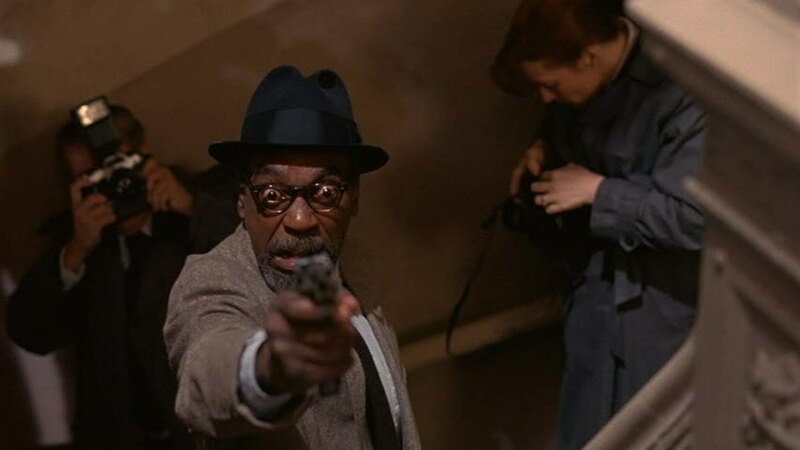 Bill Cobbs has been in movies and on TV since 1974’s superb version of The Taking of Pelham One Two Three. Instantly recognizable but usually unidentified, Cobbs embodies the definition of character actor. He can be charming, paternal or menacing, sometimes all at once. Blessed with a great voice and a wonderful laugh, Cobbs has appeared in over 50 films. He’s worked for Coppola (The Cotton Club), Mike Nichols (Silkwood), Scorsese (The Color of Money), Michael Apted (Always Outnumbered), Clint Eastwood (Bird), the Coens, John Sayles (The Brother From Another Planet) and most recently, Werner Herzog (My Son My Son, What Have Ye Done). Most people will know him from Ben Stiller’s Night at the Museum, the most financially successful film in which he has appeared. In the 70’s, he appeared on Good Times and in Blaxploitation flicks like A Hero Ain’t Nothin’ But A Sandwich. He had a memorable cameo in 1983’s Trading Places, playing a bartender whose bar the newly rich Billy Ray Valentine returns to in order to settle debts and show off. In the laughably misguided Ghosts of Mississippi, he played the older brother of Medgar Evers. And he was the coach who put a dog in a basketball game in Disney’s Air Bud. 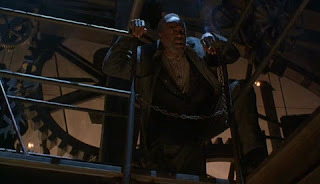 Before passing judgment on that one, remember that Don Cheadle did a dog movie too. Sunshine State: John Sayles gave meaty roles to Cobbs twice. Their second film together is yet another sprawling, multi-character tale on race relations and economic inequality. Despite its gentrification plot, and some fine performances, I found Sunshine State to be one of Sayles’ less compelling pictures. However, one scene has stuck with me all these years. Cobbs, playing an older man named Dr. Lloyd, has a conversation with a younger Black man (James McDaniel) about the past and the future. Their dialogue raises some interesting ideas about Black progress. Lloyd’s part of the conversation is almost Garvey-like, hinting that perhaps things were more unified for Blacks back in the days when things were segregated. There were Black businesses frequented by fellow Blacks, and the area, which is now being eyed by greedy developers, was thriving. Cobbs makes his case compellingly, which gave me mixed feelings about its content. Get Low: Robert Duvall’s tale of a Southern hermit planning a live dress rehearsal of his own funeral gets a major shot in the arm from two fine supporting turns from gentlemen named Bill. Bill Murray underplays opposite Duvall, bringing both gravity and hilarity to his role as a strapped for cash funeral director who doesn’t mind participating in this farce for the money. 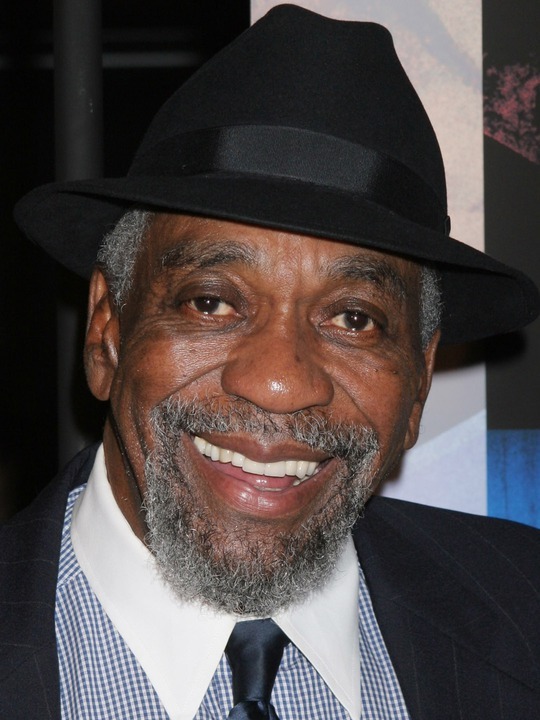 Bill Cobbs gives the other fine supporting turn, as Reverend Charlie Jackson, a man from Duvall’s past who knows the truth about the mysterious event the townsfolk have been gossiping over for the past 40 years. The fun starts when Duvall visits Cobbs asking for a forgiveness Cobbs will not grant. Rev. Jackson reluctantly agrees to participate in this “funeral” only if Duvall’s Felix Bush will come clean to Sissy Spacek’s Mattie about his big secret. Cobbs may be the only actor who can out-grouch Duvall, and their scenes are showcases for two ornery old hams at the tops of their game. As the film fades to black, Cobbs laughs his wonderful laugh. I wouldn't have minded seeing that story, either, because Mr. Cobbs is always welcome on my movie screen. Go visit the Smithsonian. Also, buy yourself a hula hoop. I think Bill Cobbs was the first movie actor I was really conscious of as a kid, a combination of his name being like Bill Cosby (who at that time I only knew from TV) and his "presence" in Air Bud. For me anyway, he was "Morgan Freeman" before Morgan Freeman. Also, Hudsucker Proxy is indeed delightful. I had the pleasure & privilege to meet Mr. Cobbs on a TV movie shoot in Santa Cruz back in the mid-90's - and got to be his hand double also.